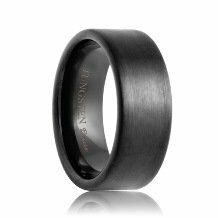 The Aurora tungsten wedding band is the perfect style for both men and women. 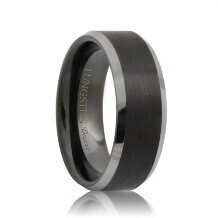 This style of flat tungsten wedding bands has a satin finish with polished edges. 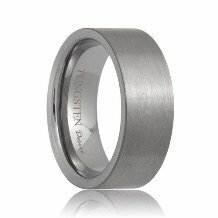 The satin finish allows the tungsten carbide wedding ring to be less shiny and distracting with a traditional look. 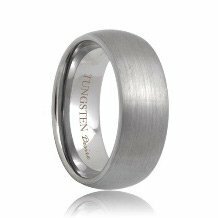 This satin finish is becoming more the style of choice for those who want the high durability of tungsten with new designs. Most sizes ship within 1 business day. Free Lifetime Warranty and Lifetime Sizing; pay no restocking fees or deductibles! This is the best online buying experience I have ever had. The website was well thought out and I learned a lot about tungsten carbide. 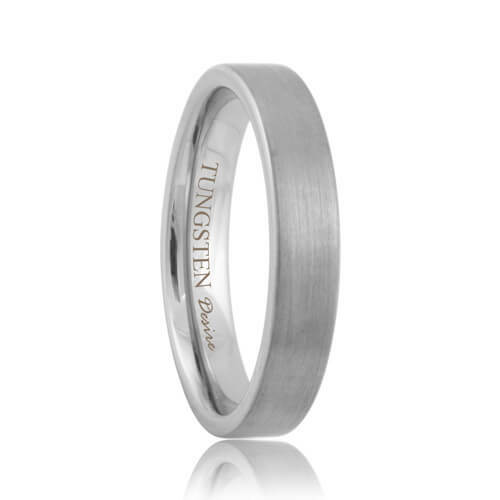 Tungsten Rings Company has the biggest selection of tungsten wedding bands I have ever seen. The service was incredible. They were able to answer all of my questions and gave me good direction on what style I was looking for. 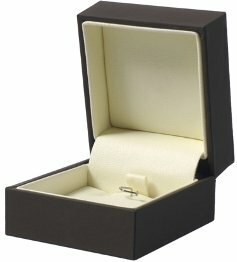 The delivery was exceptional; they sent me a tracking number so I can follow this ring's path to my home. The ring looks even better in person by the way. The engraving on the ring was great too. 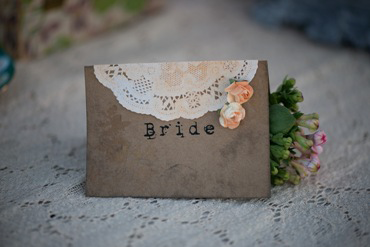 I love how I could choose my engraving and visually see what it will look like before I got it. 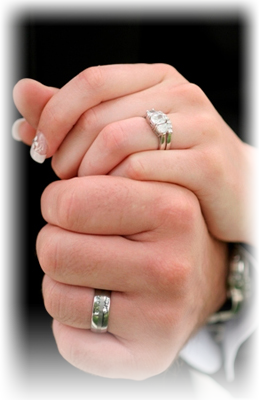 Tungsten Rings Company definitely proves that buying tungsten wedding bands online does not have to be a hassle. I have already suggested them to a bunch of my friends who are getting married. 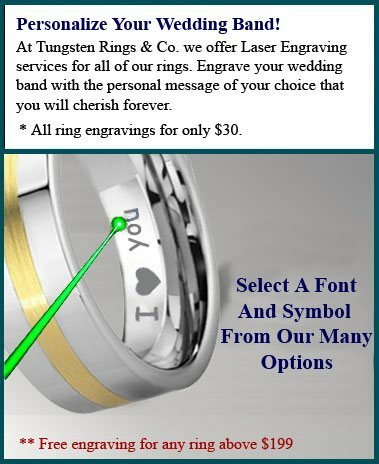 Oh, and just to let you know, Tungsten Rings Company here had the very best price and policies anywhere, you cannot find a better deal.